Surrounding the Canvas community are restaurants with flavors and styles inspired from all over the world. 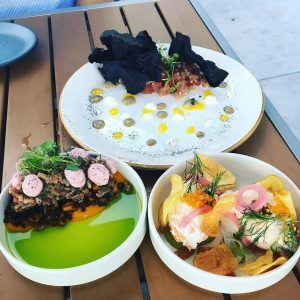 With so many to visit, we narrowed it down to a “starting seven.” Spend a day (or week) with friends and family taste-testing these local hot-spots with a little something different to admire and enjoy about each unique place. 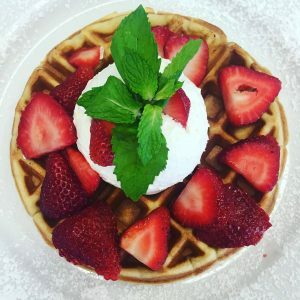 The Classic Diner is a community favorite for all things breakfast and brunch. With everything from a filet mignon eggs benedict to an ahi tuna BLT, this cozy local favorite has all of the necessary breakfast bases covered. In the mood for dessert before dinner? How about a Peanut Butter and Nutella-Stuffed French Toast with a Honey-Infused Anise Drizzle? After you’ve given The Classic Diner a few tries, consider signing up to become a member of their VIP Benefits Club and receive weekly coupons, offers, and specials. 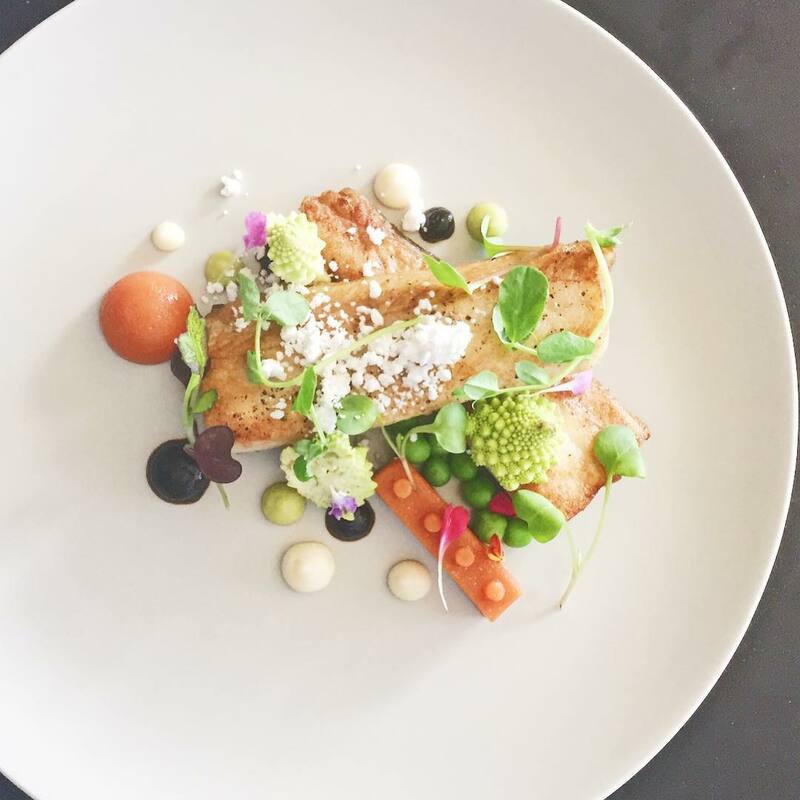 From Award-winning Chef Scott Anderson, Mistral KOP offers a carefully curated menu that is truly reflective of the Main Line. 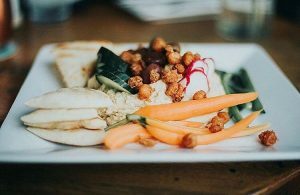 This chef-driven concept emphasizes fresh, local ingredients to make for a seasonal menu that the whole family can enjoy. Chef Anderson and the team are continuously adjusting their menu to reflect what is NOW. 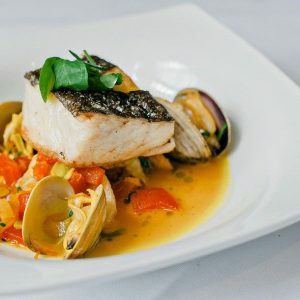 With small plates for guests to share, such as oven-dried tomatoes and pork ribblets to main dishes such as Day-Boat Halibut and Skatewing-Roulade, you can enjoy all that Mistral and the Main Line have to offer. Davio’s Northern Italian Steakhouse in King of Prussia is one of the many Italian steakhouses owned and operated by Steve DiFillipo. With a menu made from scratch, DiFillipo and his team of culinary experts place an emphasis on the details and care of every meal. 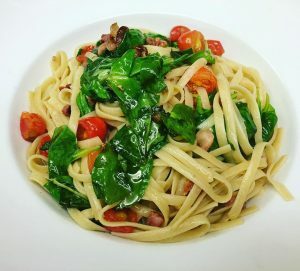 For diners who love Italian, but have dietary restrictions, Davio’s has extensive gluten-free lunch and dinner menus including items such as Roasted Free-Range Chicken with Spring Peas, Maitakes, and Chicken Au Jus as well as Gluten-Free Penne Pasta and Gnocchi. Sit back, relax, and mangia! At The Table BYOB is an open, modern space that compliments the modern cuisine it offers. 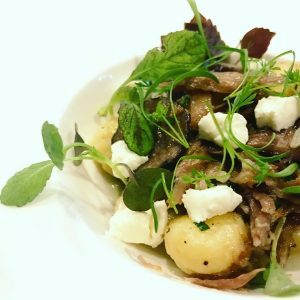 With so many unique dishes to try, the founders behind the space encourage diners to create a menu that is entirely tailored to them and their individual taste. The Tasting Menu features dishes such as Hudson Valley Foie Gras and East Coast Halibut. Consumers are given the option to learn about each dish respectively and choose their desired dishes across four categories. With Four-Course Sunday Supper and Five Course Tasting Menu options, guests will truly get a sense of all that At The Table BYOB has to offer. A modern American brasserie filled with 1,000 celebrity autographs, albums, and authentic photographs, Autograph Brasserie celebrates individuals who have greatly impacted Italian-American culture. The menu is filled with culturally inspired items like Gemelli and Baltimore Crab Cakes. Browse their website for nightly specials like Girls Night Out which takes place every Wednesday from 6:30pm – 9:30pm. $5 bellinis and cosmos are a perfect mid-week pick-me-up and date night opportunity with friends. Alfredo’s in King of Prussia brings the taste of Italy to The Main Line. The smell of the Gnocchi Sorrentina, the taste of the Rigatoni Amatriciana, and the sight of the Cioppino Di Sorento will have you feeling like you’re in Rome. Want the experience all to yourself? Host a private party during the Saturday lunch rush and snag a spare room all for yourself. Drinks (and friends) are BYO, so bring yours accordingly. The Canvas community loves local, so we found a place that keeps it local! The Goat’s Beard is a comfortably bold and sustainably domestic whisky and craft beer bar that commits to sourcing locally. The restaurant is warm and inviting and makes you feel like you’re at home. In keeping with their tradition of timely, seasonal offerings, The Goat’s Beard keeps it “fresh” with specials that change from day-to-day. 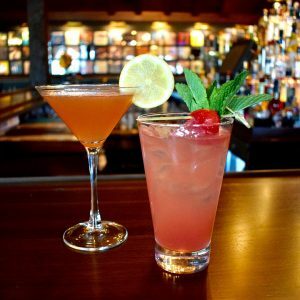 Dine in on Moscow Mule Mondays or Philly Phridays for various drink specials and live music. Peruse their Whisky Bible for fan favorites including local heroes Bluebird Distilling, Manatawney Still Works, and Dad’s Hat Rye for local options that are sure to delight. All in all, you picked a great place to live – taste it, live it, love it.